At its 92nd session from 24th April to 12th May 2017, the UN Committee on the Elimination of Racial Discrimination (CERD) will consider the situation of racial discrimination in following 6 countries. 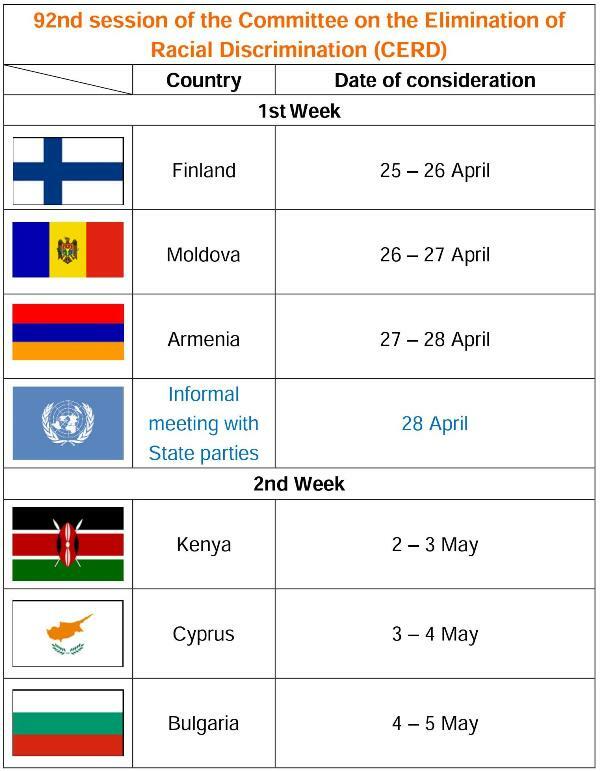 Civil society organisations (CSOs) are encouraged to submit information on Armenia, Bulgaria, Cyprus, Finland, Kenya and Republic of Moldova. During the session, the Committee will hold an informal meeting with States parties on 28th April from 3 pm.